Whew, we survived all the excitement and family time over Thanksgiving weekend. We had a wonderful time spending the weekend with family and friends. I have some tired kiddos today. It wasn't easy getting them off to school this morning. I know it's ugly...I don't know why I kept it. I am glad I kept it though because I LOVE how this project turned out! I had Justin take a few pictures along the way while he was putting this together for me. The first thing he did was disassemble the table. Then he started making the base. 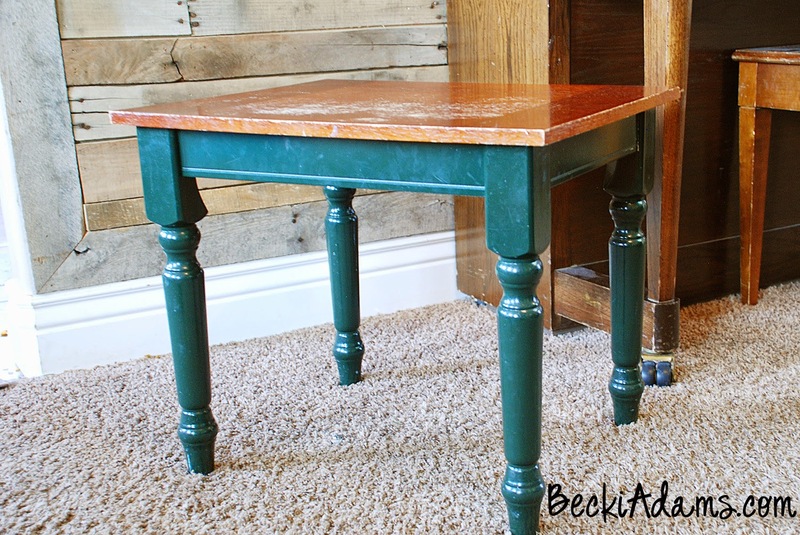 He made the base slightly larger than the top of the table leg. 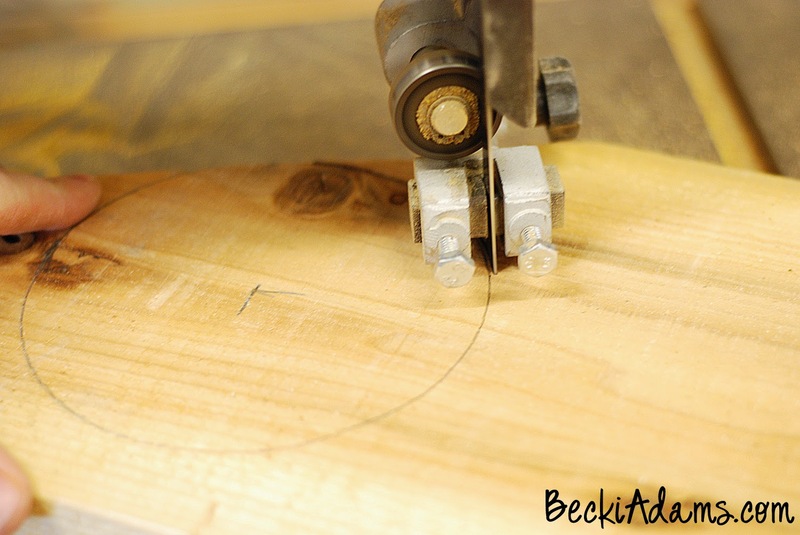 Once he had cut all three circles he ran the router around them. Then, they were ready to be attached to the table leg. He screwed the smallest circle to the table leg and each circle after that is screwed to the board on top of it. 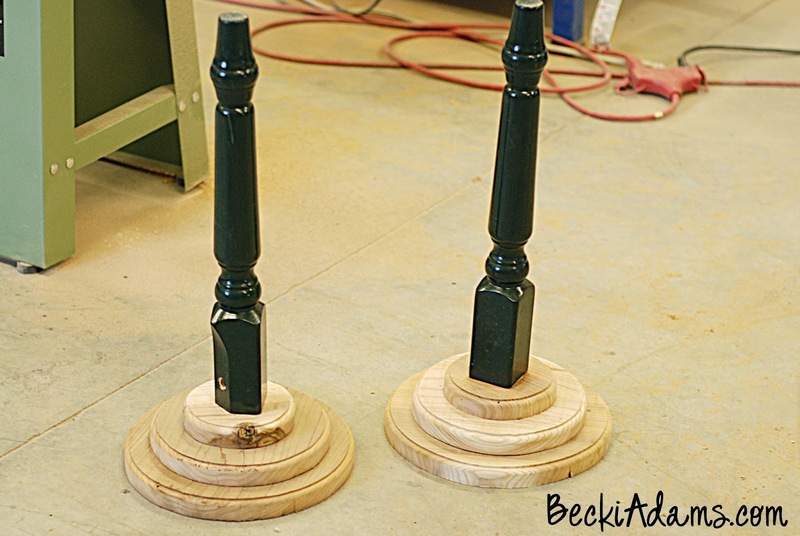 If you use recycled table legs like these, they will likely have a mark on the end where they were held on the lathe when they were made, making a great matching hole for the one in the base. Here's what they looked like before he painted them. I wanted them painted with * champagne spray paint (I like Krylon the best). It's so easy to use and it covers so well. 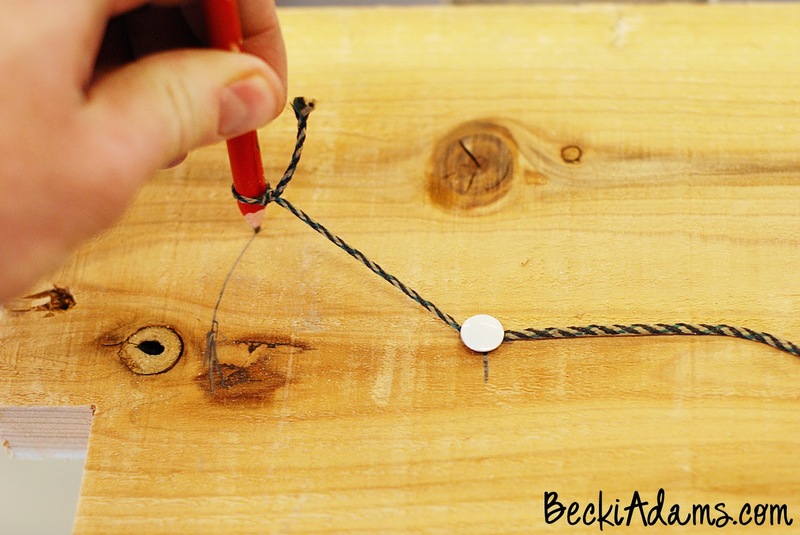 (I used it to paint the picture frame in this post too.) 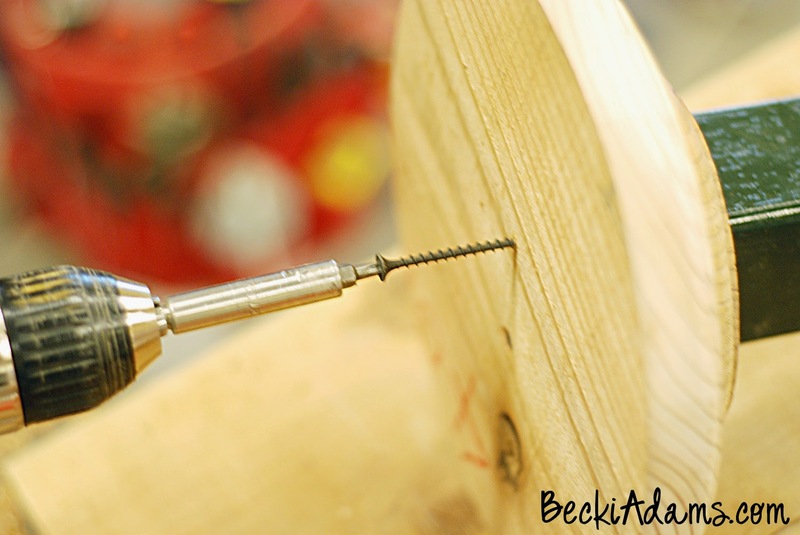 The final touch was an eye hook at the top of the post to hold a small curtain rod. By the way, if you don't have an extra end table lying around (aka, you're not a pack rat, like me) you can use a * wood spindle. So, what do you think? I'm kinda loving it...okay, not kinda. I really love how it turned out. 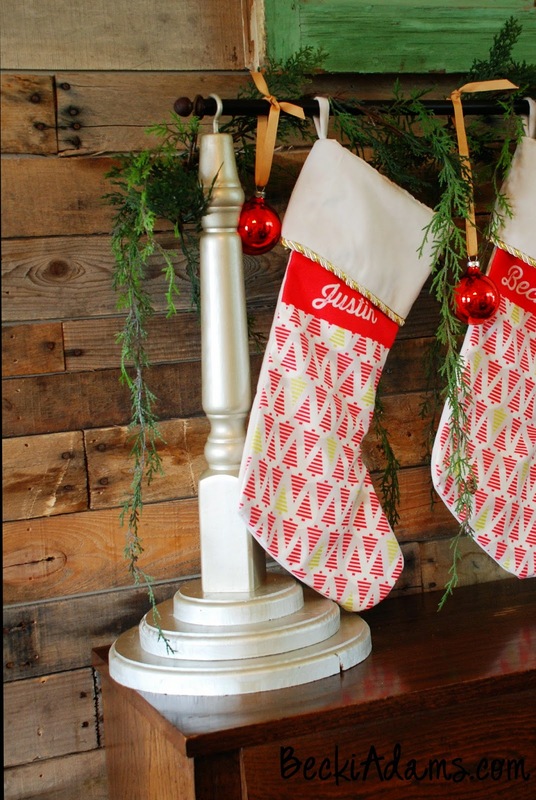 I know you're wondering where I got those adorable (personalized) stockings. Well, Tiny Prints sent them my way. They have the most adorable new stockings in their store. If you order now you'll get them right in time for your holiday decorations. This is the first time we've had matching stockings and I'm so excited about it. These stockings are made of a canvas type material and are such high quality. I know they'll last for years to come, even with my rambunctious bunch of kiddos. I love that this project is so versatile too. The curtain rod makes it easy to adjust the length (so you can fit a few more or a few less stockings). I chose to put the stocking holder on the top of my piano but it would also be cute on top of a shelf, entertainment center, or even on the floor. 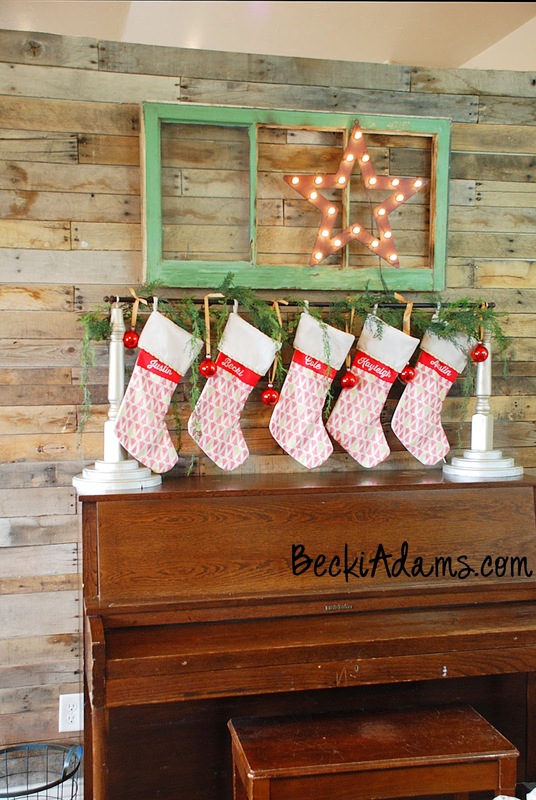 How do you display stockings in your home? 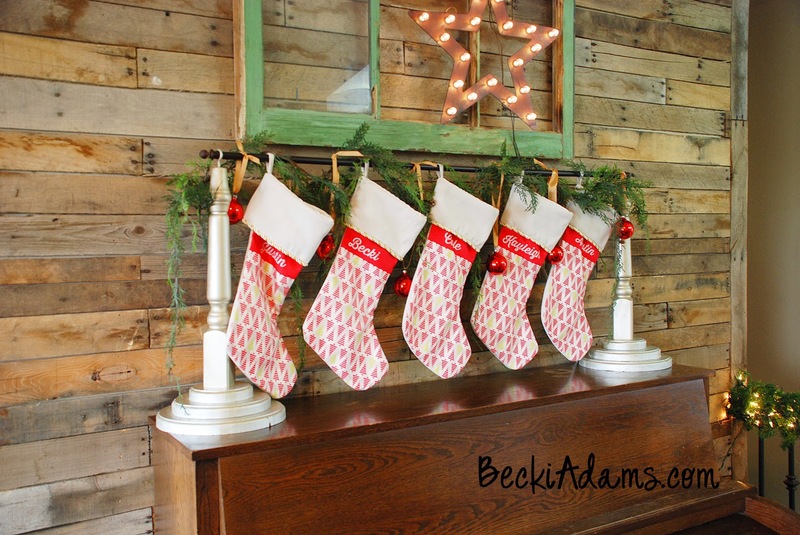 Do you have a mantle or do you have to be creative with how you hang them? 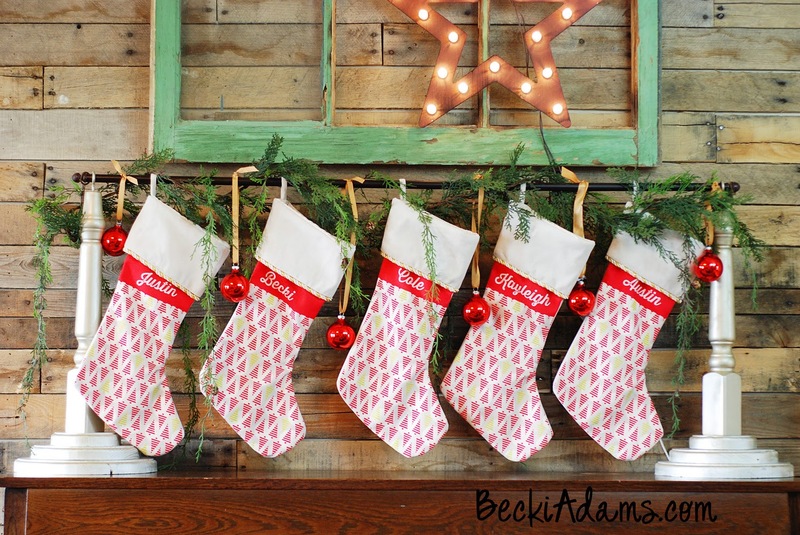 I'd love to see what stockings look like in your home.